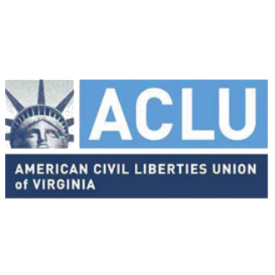 Virginia voters who are denied access or have other problems at the polls this Election Day are encouraged to call or write the ACLU of Virginia for help. ACLU staff will take calls at 804-644-8080 and respond to emails sent to acluva@acluva.org throughout Election Day,Tuesday, Nov. 3. Voters should be prepared to present an approved, valid form of photo ID to cast a vote. Free Voter Photo ID Card (available at any general registrar’s office). For more information and a complete list of acceptable IDs, visit elections.virginia.gov/index.php/registration/photo-ids-required-to-vote/. Are told they cannot vote because they are wearing political-related attire. Voters who fail to show an approved, valid photo ID may cast a provisional ballot, but must then provide proof of photo ID to their general registrar by noon on Friday, Nov. 6, to complete their vote. Voters without an approved photo ID may obtain a free, temporary photo ID printed instantly from their general registrar, even on Election Day.